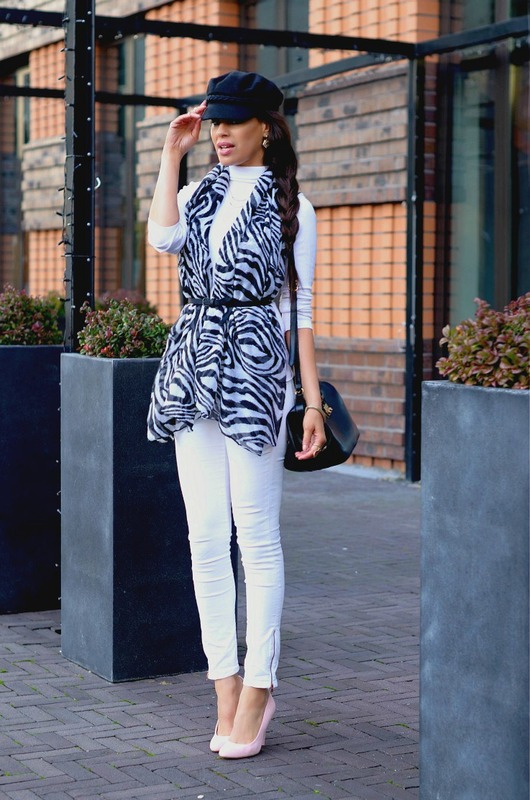 Do you think white is not appropriate for fall! I think It can be! 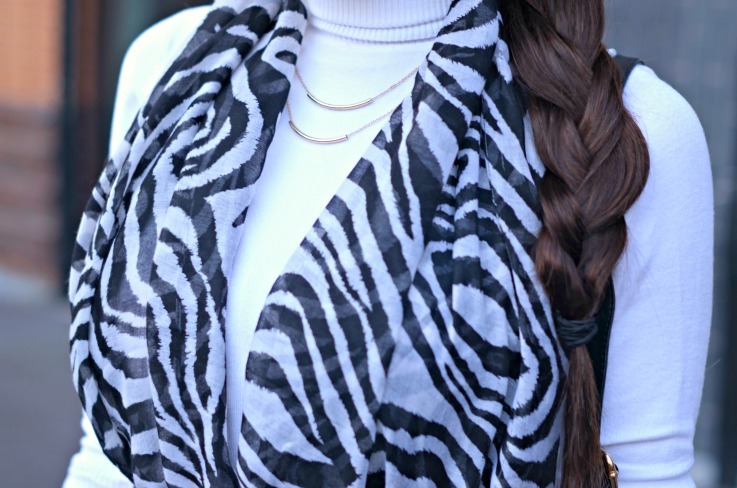 Especially if you pair it with black and white items like I did with this zebra printed scarf! As you all know I am a huge fan of scarves and all the different things you can do with them in terms of styling. 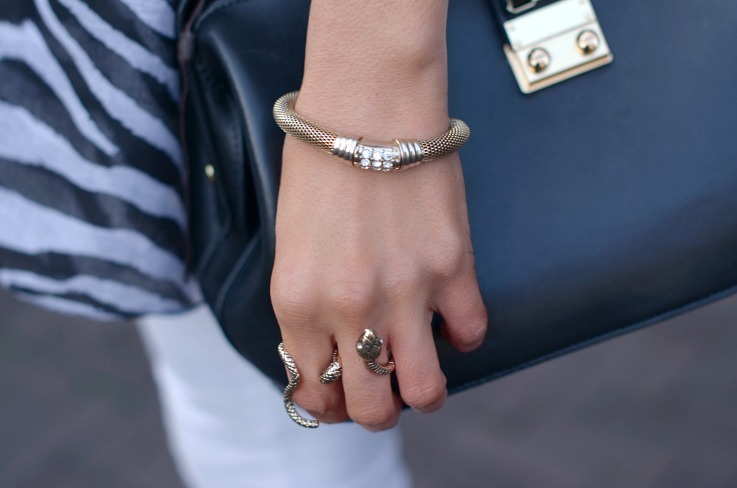 I love to get creative with my outfits and how to style different items and add interesting touches to a look. 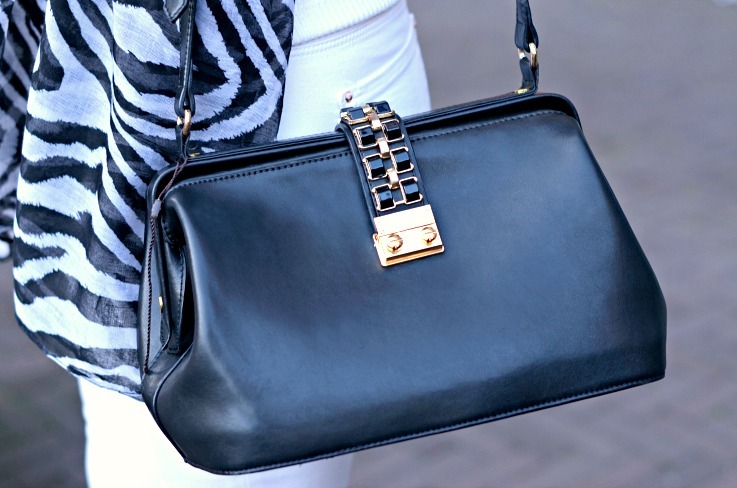 As you can see, wrap a scarf around your waist, add a belt and it instantly creates a fun and very sophisticated look. It actually reminds me a little bit of peplum top. After having a nasty flu for more then three weeks I am finally up and running again, So I have tons and tons of outfit posts lined up for you guys. Thank you all for all the sweet “get well wishes”! I always hope you can find inspiration and ideas from my posts so like I said more coming soon. I wish you all a fabulous day. This song on repeat, had me enchanted for hours while working today.